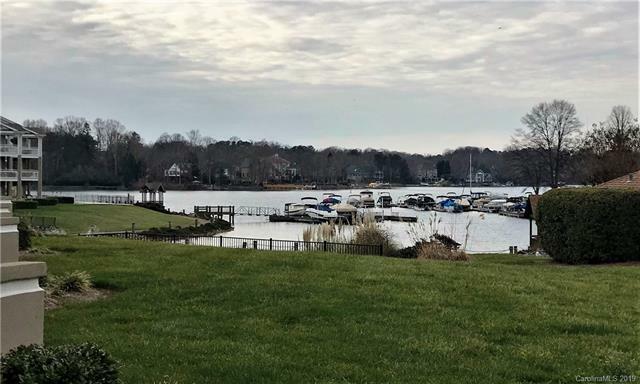 Beautifully updated GROUND FLOOR condo in the Captains watch complex of Davidson Landing. Great location with direct access to the lake and pool. Condo provides two bedrooms, two full bathrooms, and over 1,100 square feet of living space. Wood floors through out the great room and dining room area. The master bedroom is located on the lake side of the condo with lake views and direct access to the the covered patio and deck area. Large master bathroom with a tiled shower surround and an updated vanity. The master bedroom also has a large walk-in closet. Kitchen updates include tile floors, granite countertops, stainless steel appliances. New water heater in 2017. Great opportunity to purchase an updated ground floor condo in Davidson Landing.